If your a renter in Boston, you might assume that those who own a home are the only people who get any type of credit on their annual tax returns. If so, you will be happy to know that you might qualify for one of several types of tax write-offs described below. 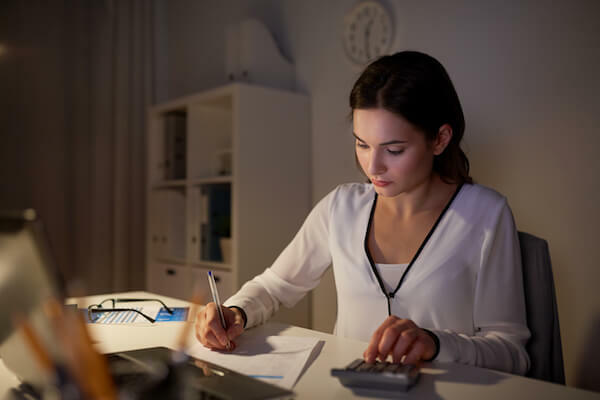 If you work primarily from home, you can claim a home office deduction on your state and federal tax returns whether you own or rent. However, this deduction can get somewhat complicated. In order to claim it, you must know the total measurements of your apartment, townhome, or other rental property in square footage. You then need to measure your home office in square feet and determine the percentage of your rental property that you use for business. When you fill out your federal tax return, you can deduct the percentage of rent that covers the area of the apartment that you use for business. To simplify things, if your home office occupies 40% of your apartment, you can deduct 40% of your total rent. You can also deduct a percentage of your electric, phone, Internet, and other common household expenses to the degree that you use them for business. Massachusetts is one of several states that offers a deduction for renters who meet certain qualifications. State law requires the apartment that you rent to be your primary residence if you want to claim the rent credit. It also limits the amount of your rebate to no more than $3,000 or 50 percent of the total amount of rent paid. Additionally, the rebate only applies to rent and not other expenses you pay for your rental property such as utilities. If you are self-employed and primarily work from your rental home, the federal government allows you deduct 100 percent of the premiums you pay for health insurance from your gross income. If you take itemized deductions, you may be able to deduct other expenses related to healthcare such as transportation fees to medical appointments, parking fees, equipment to improve your mobility, eyeglasses, hearing aids, and anything else you need to ensure a normal quality of life. While the Federal government did away with the ability for taxpayers to deduct employer-related moving expenses in 2018, active-duty members of the military are still eligible for the same deduction so long as the move occurs in the line of duty. While you cannot go back to previous years to claim deductions you did not know about, having this information available for can make filing your 2018 returns much more pleasant. When it comes to tax write-offs, homeowners are not the only ones who can claim exemptions to lower their tax burden. Boston apartments can be expensive, but at least now you have something to help you save around tax time! Boston Pads is New England's largest online real-time apartment database, featuring more than 155,000 apartments for rent in Greater Boston. Boston Pads delivers a complete suite of innovative products that can supercharge any real estate office into a powerful success. We have a powerful syndication tool that help agents post more properties in far greater numbers with more accuracy in less time. We build custom websites and provide advanced database technologies that allow real estate companies to focus on their core competencies. Nationally, our platform is scalable, and our solutions are tailored to drive growth and increase market share for real estate companies.